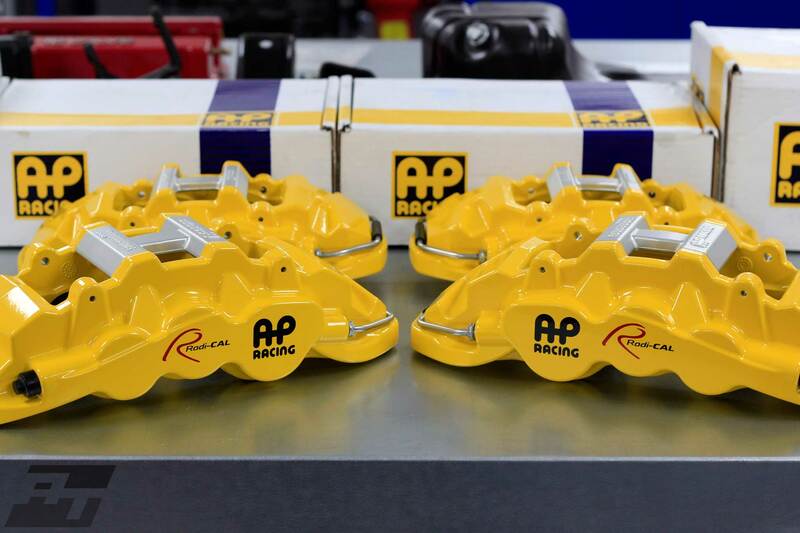 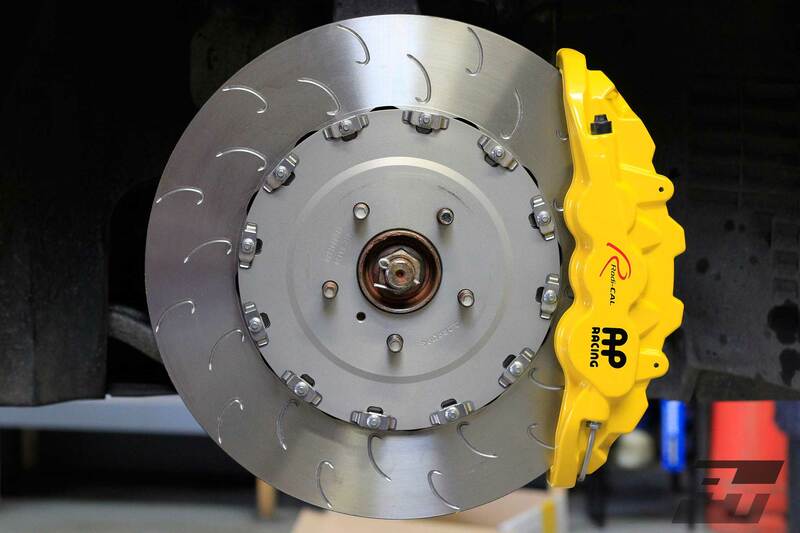 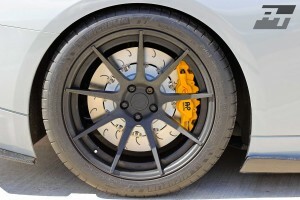 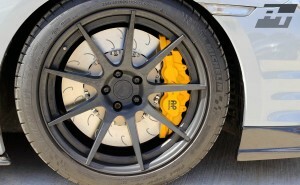 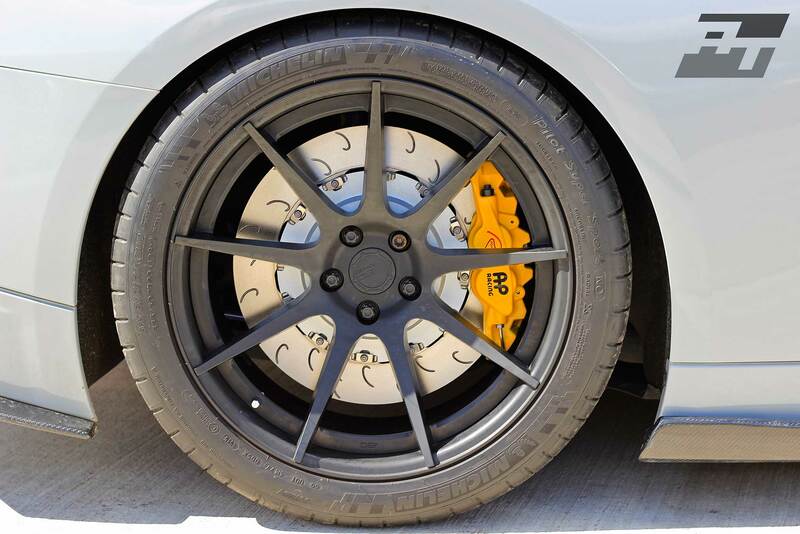 The AP Racing Radi-Cal Big Brake Kit offers a superb brake upgrade package for increased driver confidence and stopping power. 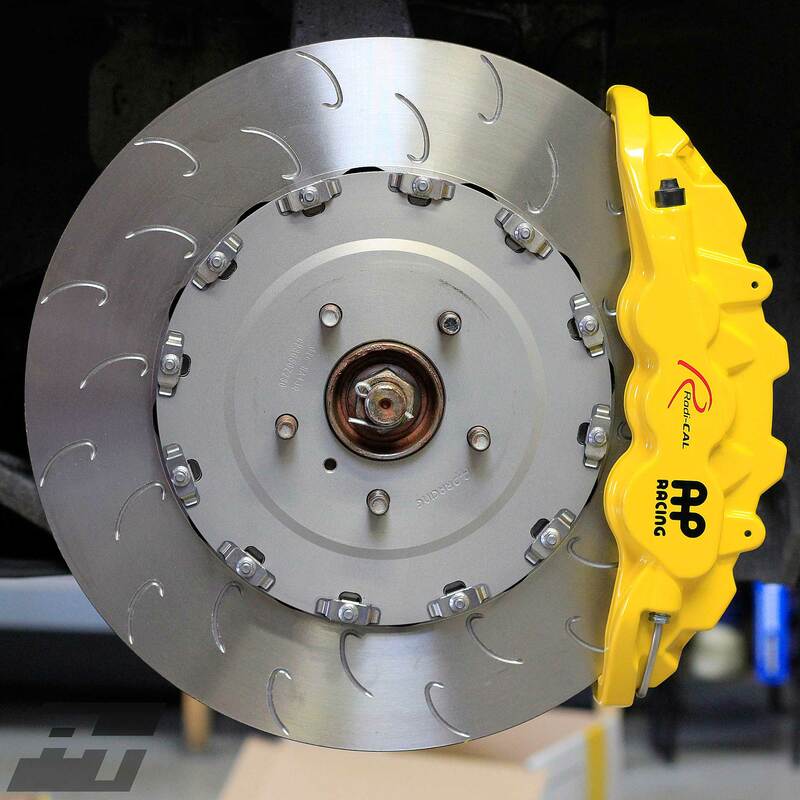 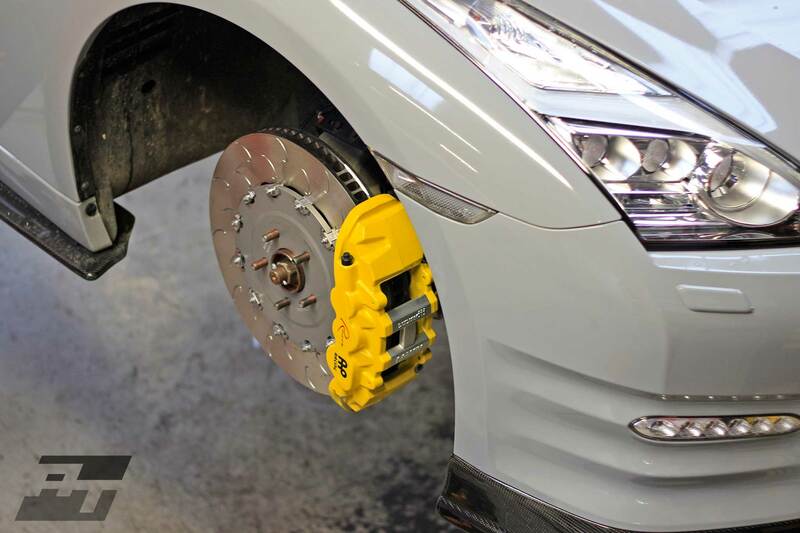 This comprehensive kit can be installed in a matter of hours, replacing the standard Brembo equipment and upgrading to a 410mm Front/ 400mm Rear, floating Disc setup. Designed to dissipate heat more effectively under hard use, whilst retaining the use of stock wheels if required. 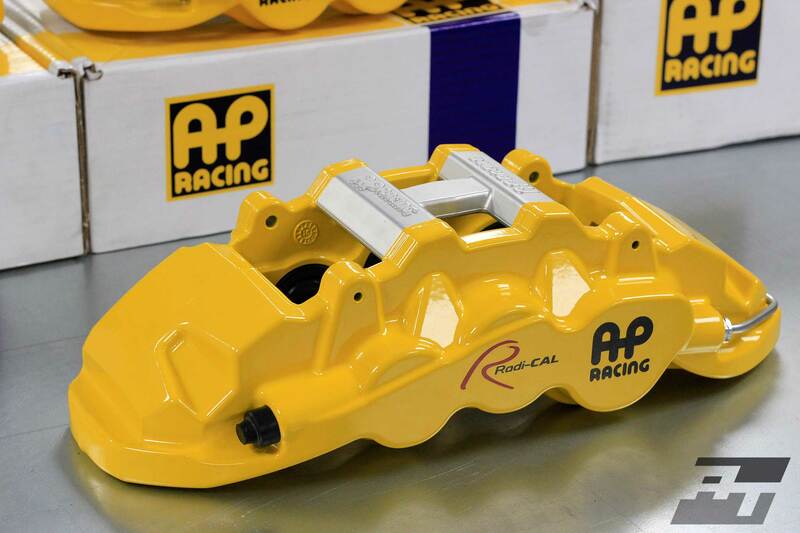 The Radi-Cal design offers a significant weight saving over conventional cast calipers and double sealed, staggered pistons promote even pad wear throughout their life. 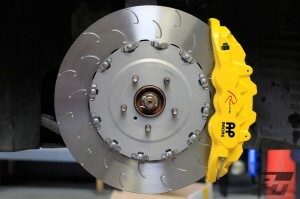 Fast pads changes are also made easy for track and circuit users, with a removable bridge system. 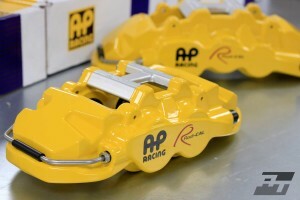 Lightweight aluminium calipers housing hard anodised pistons with multiple pad options make this kit a very attractive options for those seeking a little more from their brake pedal. 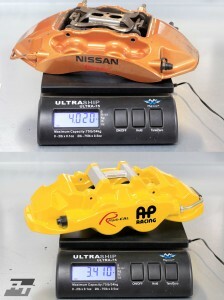 Pictured below are photos of the kit on our own development R35. Lightweight patented 2-piece pressure-forged calipers, derived from the Radi-Cal Forged systems used in World Class Motrsport applications. 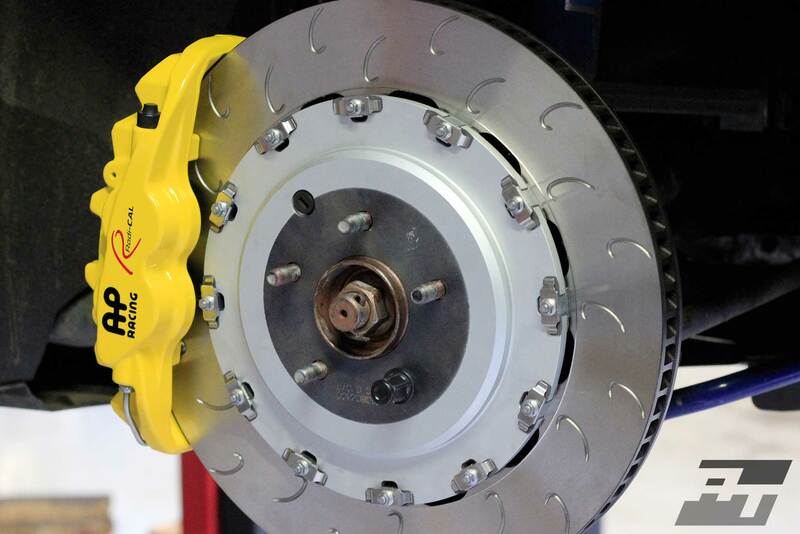 410mm Front / 400mm Rear Grooved discs to aid heat dissipation and prevent cracking, synonymous with drilled discs. 2-piece disc design with floating rotor for high temperature stability and heat dissipation utilising curved internal veins. Sprung hardware kit to eliminate clicking and rattle associated with high performance brake kits. 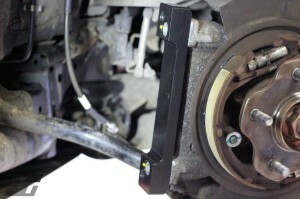 Comprehensive package including brake lines, brackets, fluid and all mounting hardware. Custom colour options available to order.